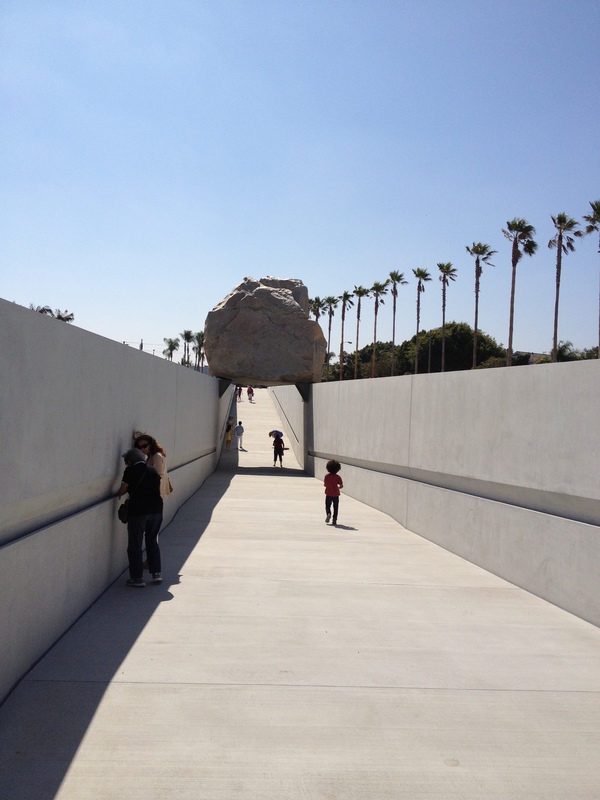 A few days ago, I dropped by LACMA for my first look at the newly opened Levitated Mass, Michael Heizer’s suspended granite megalith. Popularly known as The Rock when it made its arduous 11-day journey from quarry to Mid-Wilshire in March, it has been transformed into art by its placement over a sloping 456-foot-long slot that allows viewers to pass directly under it. Having passed the boulder during the construction period, I had some idea of its immensity; what I didn’t know was how it would feel to walk through the slot. 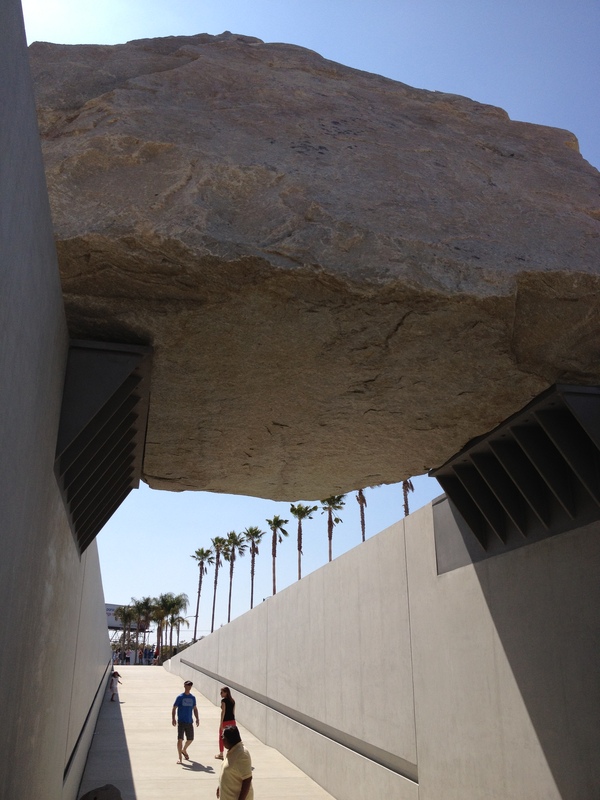 I imagined the walkway would be mobbed, much as the boulder was during its trip from Riverside County, and that crowds would be part of the experience. But on a Monday afternoon visitors were sparse, allowing me to dawdle and take numerous photos. 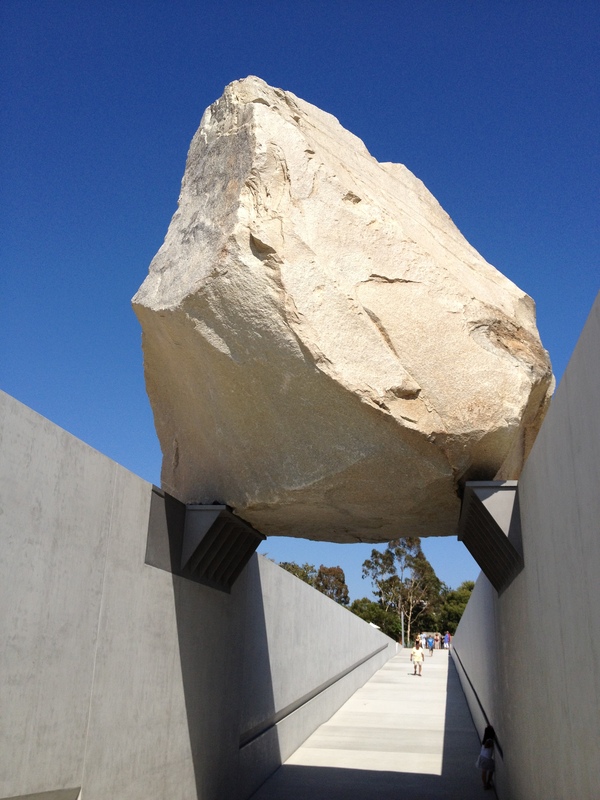 What amazed me about Levitated Mass–aside from the peaceful aura of a piece previously described as a “rock star”–was how different the boulder looks from different vantage points in the slot. Approaching from the west, it appears Matterhorn-like, while the eastern side appears comparatively flat and squat. I found it hard to believe it was the same rock. Also interesting is the walkway itself, a smooth concrete passageway so wide you could drive through it in a large pickup truck. (LACMA’s website has an interesting video about its engineering and construction that shows a mind-blowing amount of rebar.) When I was there, many of the visitors seemed as taken by its high walls, running their hands along the canted slots that run through each. 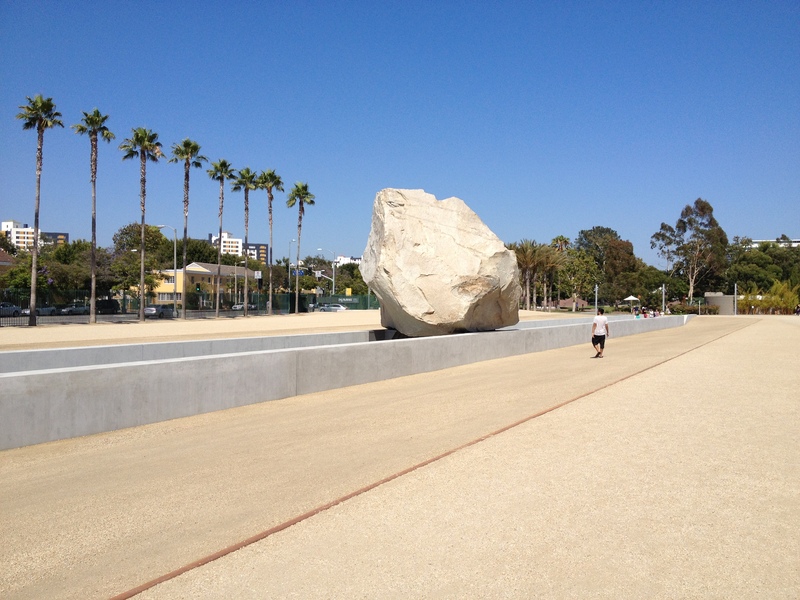 As far as I know, Levitated Mass is the only large Land Art work to be placed permanently on the grounds of an urban museum, a fact that can hardly be overestimated. 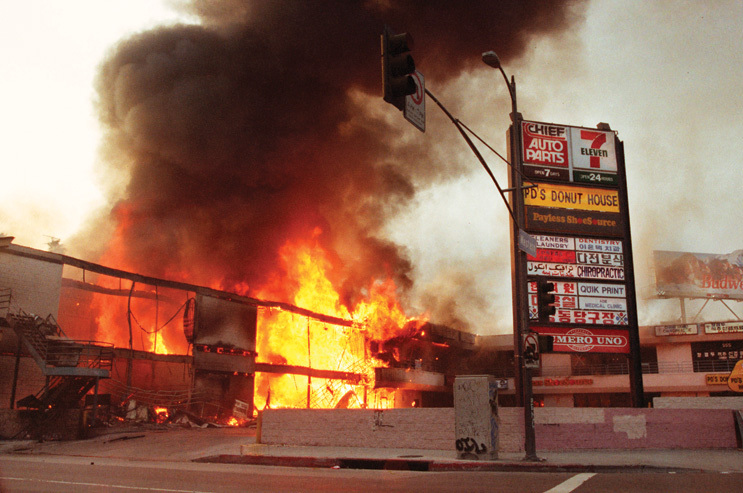 By allowing the general public access to a monumental work that normally would be open only to a handful of curators, collectors and fans, LACMA and Michael Heizer have done a boldly democratic thing. 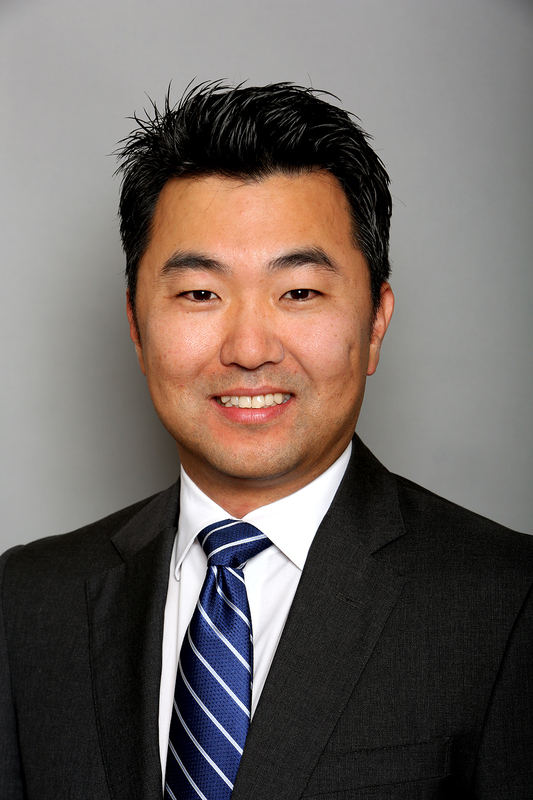 And though Levitated Mass is an impressive work of Land Art, its greater importance lies in its accessibility. Next: Two masterpieces of Land Art, and what it takes to see them. 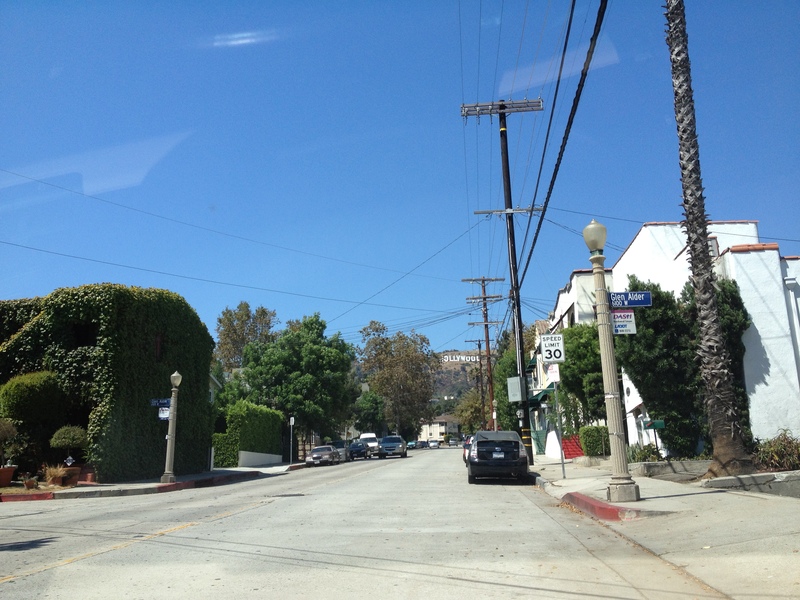 You are currently browsing the Hancock Park category at Under the Hollywood Sign.